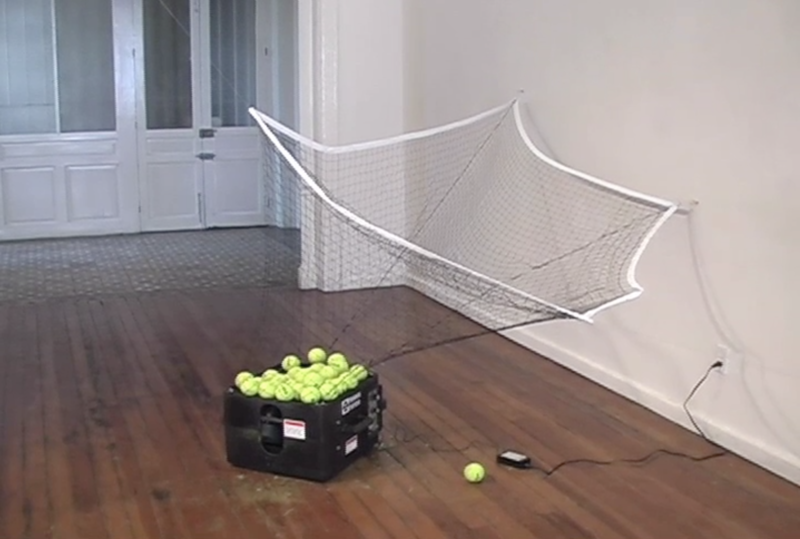 The tennis ball machine was placed at the center of the exhibition space. The balls fired by the machine bounced on the walls of the gallery to come back to the machine nest, waiting to be thrown again. The machine that once was designed to help improve the game of the person who used it, is now freed from this function.